Whales and Seersuckers oh my! Am I on a boat? No but I wish I was. This look is super preppy and nautical of course. Basically I feel like I live on boat but I live in Iowa... so there is that. 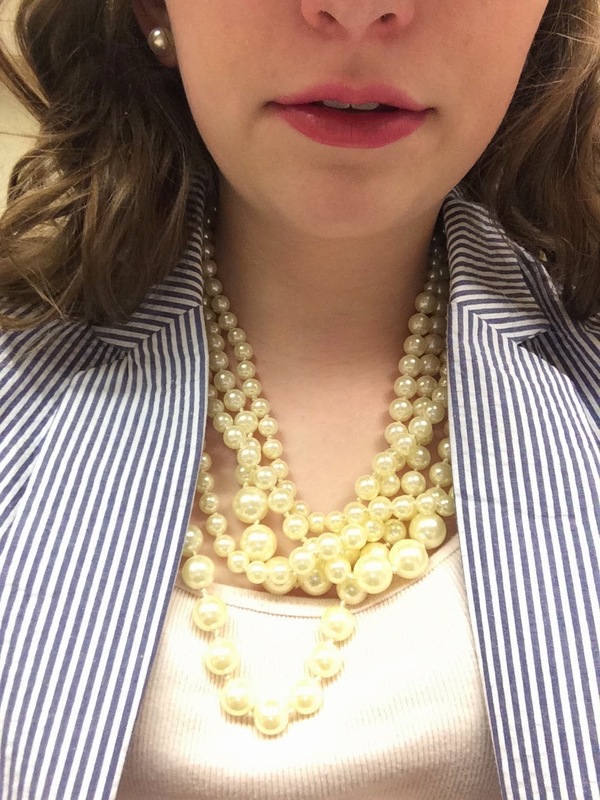 But, this look includes seersucker, pearls, and of course Vineyard Vines. I paired a fun seersucker blazer with a simple light pink tank and classic dark jeans. For accessories I wore my favorite pearl statement necklace from J Crew. I like how it adds a bunch of layers to the look. 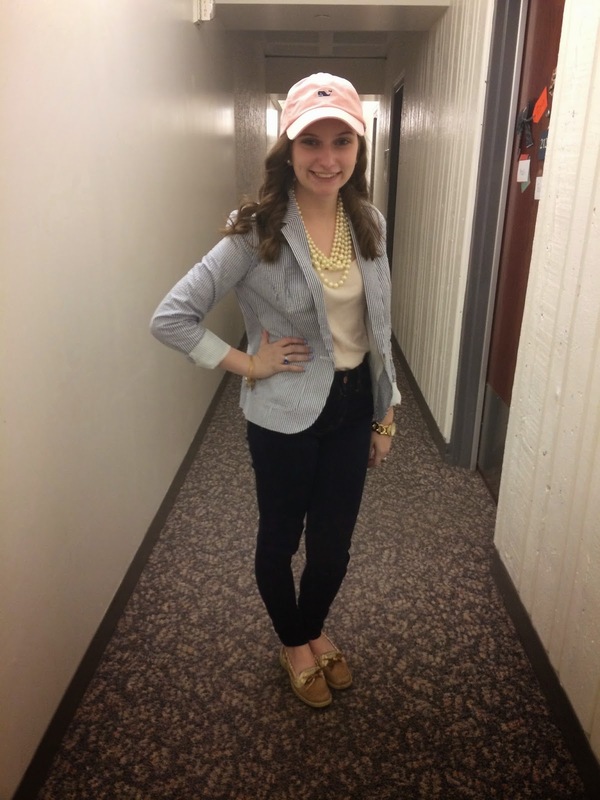 Also, I wore a Vineyard Vines baseball cap along with a neutral pair of Sperry Top Sider. Overall I loved this look and I am dying to wear this blazer again! Here are all the pieces of my preppy look. Some of these are the exact pieces and others are very similar!